The Federal Government has so far received about $29 billion (N11.7 trillion) from the Shell Petroleum Development Company of Nigeria Limited (SPDC) operated Joint Venture between 2012 and 2016, the oil company claimed. Also in 2016, the Shell Companies in Nigeria paid $1.4 billion (N427 billion) in royalties and corporate taxes to the Federal Government.Payments disclosures are in line with the transparency drive of this administration to ensure that oil companies operating in the country declared their revenues as at when due. More so, as there have been controversies surrounding government receipts and actual payments claimed to have been made by the extractive industry operators, which have created discrepancies in the yearly audit reports by the Nigerian Extractive Transparency Initiative (NEITI). Shell in a statement on Tuesday in Lagos, elaborated that while SPDC paid $1.0 billion, the Shell Nigeria Exploration and Production Company (SNEPCo) paid $0.4 billion in 2016. This, it noted is besides the energy which the company contributed to the Nigerian economy, with the Shell-operated ventures in Nigeria recording an output of some 572,000 barrels of oil equivalent per day last year. Speaking at the launch of the company’s briefing notes in Lagos on Tuesday, Country Chair, Shell Companies in Nigeria, Osagie Okunbor, said the company remains strongly committed to the development of Nigeria. Okunbor, who is also the Managing Director of SPDC, gave the statistics in a review of Shell operations in Nigeria for 2016, while presenting the 2017 Shell Nigeria Briefing Notes to energy editors. 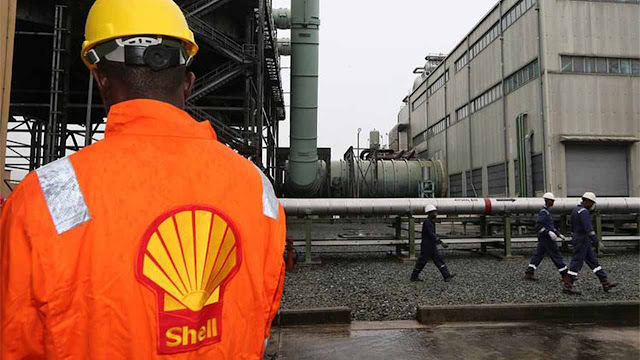 “Shell has been operating in Nigeria for more than 50 years. And it is not by chance that we have remained deeply committed to the development of Nigeria, her people and her economy by efficiently and responsibly producing oil and gas in onshore and offshore as well as distributing gas to industries and producing liquefied natural gas for export,” he added. Okunbor said the determination of Shell to support the monetisation of the nation’s huge gas resources led it to establish Shell Nigeria Gas in 1998, which now supplies gas to about 90 industrial customers in Ogun, Rivers and Abia states. He noted that the gas is used for power generation and processing by industries for the manufacture of domestic products ranging from household consumables, to household utensils and hardware. Okunbor continued: “As they worked to produce energy, Shell Companies in Nigeria paid special attention to the welfare of host communities, making Nigeria the second largest recipient of social investment spending in the Shell Group after the United States. He noted that in a bid to involve more Nigerian contractors in their operations, the Shell Contractor Funding initiative was expanded with eight participating banks committing about $2.2 billion to fund contract execution by Nigerian companies working for Shell Companies in Nigeria. According to him, since the programme’s creation in 2011, loans worth approximately $1 billion have been awarded to 220 small and medium-sized Nigerian enterprises with no recorded defaults on repayment. The Shell Contractor Fund was approved by the Organisation for Economic Cooperation and Development (OECD) at its plenary session on “Shared Value creation and local content” in December 2016 and included in the compendium of global best practices. He said further that SNEPCo added to its efforts to improve the capability of Nigerian vendors and service providers in deep water operations by assigning significant portion of work to this category of contractors in its recently-concluded turnaround maintenance at Bonga field. He explained that the reduction in oil theft and sabotage-related spills from the previous year can be attributed to continued improvements in air and ground surveillance, and response by government security forces, and lower production levels at SPDC JV operations in the Western part of the Niger Delta due to acts of sabotage and our divestment from key pipelines in 2015.